So here I am….amazingly still pregnant. If all goes to plan these babies will arrive by C-section on 15th August, just 10 days from now. I’m nervous, grateful and excited all rolled into one. It has been a long, long road to get here. There’s something about an IVF pregnancy that makes you doubly, trebly, quadrupully anxious. I’m scared of the ‘jinx’. I’ve avoided talking about these babies too much – at least in real life, not on this blog. I’ve been waiting for the next thing to go wrong. I’ve been expecting a big ‘yahh boo’ from the universe in return for getting my hopes up. And yet here we are, nearly at the end. And I’m still worried something will go awry. I read sad news from fellow blogger The EcoFeminist this morning. I’ve been in her shoes and it is a hateful, angry, lonely place. There’s really nothing anyone can say or do to make it better. ‘Don’t give up’ is not good advice. Quite frankly many people do give up and it’s the right thing to do. Infertility is all consuming; it’s like a black hole of relationships, hope and money. Sometimes there is a happy ending – oftentimes there is not. Obviously I’m glad we decided to keep trying but I’m not sure how I would have coped with another loss. You put your mental health and happiness on the line every time you have another spin on the wheel of fortune. And we’re almost there. I will say no more! I don’t want to jinx it (even though ‘jinx’ is a silly, childish concept). I just can’t wait to see these much-wished for babies in my husband’s arms on 15th August. Wish us luck. I was fuming. I stared at him but he didn’t care. He was in a soup stupor. You can see lips! And a hand waving! She looks pretty crammed in there. Whenever I look at this picture I can hear Adele singing ‘HELLO FROM THE OTHER SIDE’. Aww. Not long now, squashed little baby. We haven’t really bought much for the babies yet but we have chosen a pram. We don’t have a car and we use legs, two wheels and the bus as our transport so it was a tough decision. Most twin prams are enormous side by side monster trucks. What is the least annoying pram available? How can we take up the smallest amount of room on the pavement and on the bus? How the bloody hell are we going to get an enormous twin pram up the Victorian stair cases of London tube stations? How…in fact…are we going to fit a twin pram through our front door?! Yes, one of the twins (our least favourite one?!) will have a rubbish view. That’s ok…they can take it in turns. We’re buying it in a darker colour of course, to hide the inevitable stains. Prams are ridiculously expensive, this one costs about as much as a second hand car. However no need to feel down. Just imagine the alternative! We could be expecting quads! No way you could get this bad boy on the 137 bus without attracting some very British tuts and eyerolls…. Pretty miserable 24 hours here in London. Horrified to discover fresh, red blood during a casual bathroom visit yesterday evening. Cue panic. Again. I called our fabulous doctor and he advised me to A. Do nothing until he could do a scan today (Sunday) or B. Go to A&E if it was very bad/heavy. Well, I did what any self respecting panic merchant would do and went straight to A&E. I was distraught. I was utterly convinced that it was over – the bleeding was pretty heavy and I had quite dull ovarian pain on both sides. The staff in the hospital were lovely and husband and I were shown to a private room pretty much straight away. They did a urine test (fine) and then various blood tests. And then we waited….and waited….and waited…. It didn’t take long to realise that we’d made a mistake. Why was I subjecting myself to a miscarriage in a harshly lit emergency room? Why wasn’t I tucked up in bed, dealing with this privately? Anyway, after several grim hours the blood results came back. All fine. HCG of 127,000 (!?). Nobody available to do an internal ultrasound until Monday. They recommended I see our doctor for a scan ASAP. We headed home in the dark, owners of a massive HCG but still none the wiser about what was happening. By this morning the bleeding had stopped. Even though this gave me a bit of renewed hope I was horribly anxious on the way to the hospital – had I miscarried one twin? Both? Why the f*ck is this happening? Anyway I will keep you in suspense no longer…..fine. The babies are FINE. Unbelievably, despite all the bleeding, there they were on the ultrasound. 2 blobs, 2 heartbeats, 2 sacs. Both exactly the right size for 6+6 weeks. Like….totally, utterly, completely fine. He couldn’t see any haematomas or clots on the scan. Basically, the bleeding remains’unexplained’. It’s terrifying and stressful and I hate it. He has instructed me to take it easy for the next few days, until the bleeding completely stops. He is also going to refer me to an Obstetrician who specialises in twins, bleeding and all that stuff. I caved into paranoia and madwoman-itis this morning and went for another blood test. It was a secret blood test, done in a furtive manner at a ‘secret’ clinic without the knowledge of my doctor. He is normal and not at all mad/paranoid so I knew he wouldn’t agree to a 2nd beta. He didn’t even agree to the 1st one really. 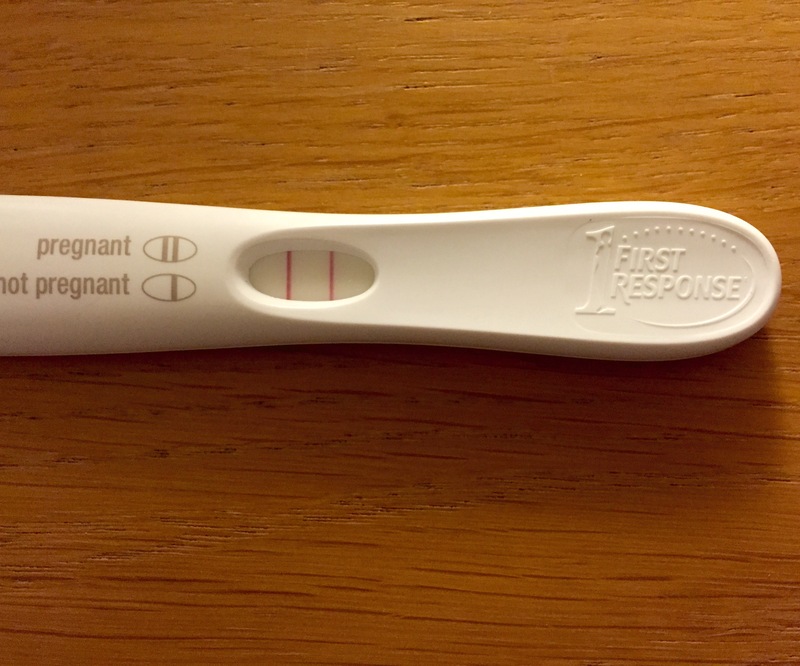 Today I am exactly 5 weeks by weird pregnancy reckoning (they add on 2 weeks pre-transfer), or if you prefer, 21 DPO, 16dp5dt. 5460 is a pretty high number. According to BetaBase it’s in the ‘twins’ range and a few of my dear readers have also mentioned this. I have to say, the T word fills me with dread. Other people (my doctor included), say the HCG number is meaningless and indicates nothing. I think I prefer those people. I’m going to stay away from the secret clinics for the next few weeks. First scan will be in week 7 (w/c 18 January) so let’s hope I make it that far.Hopefully the scan will reveal all. In the meantime I will try to stay pregnant. I feel pretty good really – a few headaches (don’t normally get those) and very thirsty. ‘Dry January’ is an excellent cover story for my current booze dodging too, rather well timed! I was convinced my period was on its way. Convinced. I didn’t want to look at the test this morning. Now….this. I know we have an enormously long way to go but I am going to allow myself to be excited today. This is a fantabulouciously good start! Now I need to convince my doctor to give me a blood test. They usually don’t, but given my previous history I think he’ll agree to it. If not, I’ll go to one of those walk-in clinic things. I need to know if the number (whatever it may be) is going in he right direction. The last 24 hours have been pants. I slept badly – mad progesterone dreams, cramps (real or dream cramps, I do not know) and hot flushes (perhaps caused by my mum’s central heating system or my internal heating system, I also do not know). Gross TMI alert – I’ve also been having some pinkish/brown spotting, mainly noticeable at fanny bullet time. I’m worried. It really does feel like my period is on its way. Anyway I am now on obsessive knicker watch which is really not good for one’s mental health, especially when one is still staying at one’s mother’s house. Looking forward to getting back home to London soon so I can pee on a stick in the privacy of my own bathroom on Thursday morning. I’m pretty convinced that this cycle hasn’t worked out. I know my body and I’ve been here 5 times before….signs are not good. I’m terrified at the prospect of more bad news. Obviously I have been madly Googling ‘9d5dt’, ‘spotting’, ‘dreams’ and all the usual palaver. If you are reading this blog because you Googled something similar please rest assured that you WILL find BFP/BFN news on this site very soon. Seriously folks, what is wrong with people who post symptoms/questions/worries on forums and blogs and DON’T close the loop?! I need to know if ‘Babydust77’ got a BFP after her 9dp5dt brown discharge and cramps! I need to know if ‘Stickyvibesgirl’ got a BFP after experiencing bleeding and bad dreams! As all obsessive IVF Googlers know, living vicariously through the lives of others is the only way to get through the 2ww…. Ok, I take some of it back…. Made it back to London in one piece with husband carrying ALL the luggage (including 4 bottle of Rioja, a large bottle of olive oil and assorted Spanish knickknacks). Well I am PUPO after all. I must take it easy. In fact, I don’t think I should even make a cup of tea. Better if he does that for me for the next 10 days or so. Arrived home to an email from the Madrid clinic. 4 of the slow little blighters sped up over the last 24 hours and we now have 4 blastocysts in the freezer. Grading 4AB, 4BB, 5BB and 5BB. So, it’s not quite as bad as I first thought. I probably didn’t need to have a tantrum yesterday. Oh well. Anyway it’s good to know we have a back up plan if this cycle fails. I almost wish we didn’t know the ‘grading’ – the numbers are annoying me. A quick Google search revealed women who got pregnant from all sorts of embryos including non-blastocysts, never mind 4AB, 5AB, 5BB and all that carry on. The numbers are twisting my melon, man.